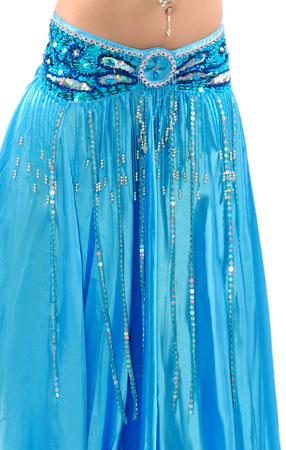 The Beaded satin belly dance belt with sequin butterfly design and fringe in the turquoise blue colour is vibrant. The construction is sturdy and the Velcro fastening allows some room for final adjustments. I love this style!